The government is back to work, but what is the real situation on how quickly they can recover from the month long shutdown and begin to serve their constituents again? In point is the livestock industry that has been flying blind since before Christmas. 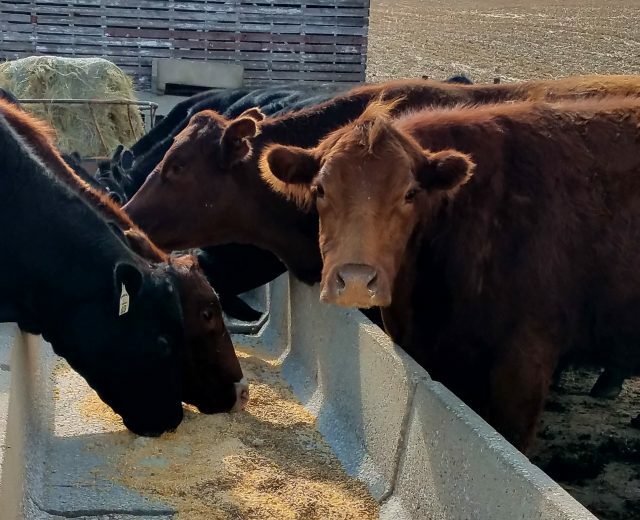 Normally around this time, attention would be focused on the monthly Cattle on Feed report, typically published by the United States Department of Agriculture (USDA). However, due to the ongoing government shutdown, that report along with several others have been either postponed or will be nixed all together. Oklahoma State University Extension Livestock Market Economist Dr. Derrell Peel, in a recent conversation with Radio Oklahoma Ag Network Farm Director Ron Hays, said when industry stakeholders can expect to get the flow of data back on track is anyone’s guess right now. This highly anticipated report comes only once a year and Peel says the information it contains gives the industry its one critical chance to confirm the progress made during the previous year and helps to set expectations for the year ahead. In addition, it is the only report that offers a state-by-state breakdown of the numbers along with some other valuable insights that can be derived from that information. Based on what he does know and can deduce from the information that is available, Peel contends like last year – the industry is still in expansion albeit much slower. As beef production continues to grow, he says the key to sustaining current price levels has been, and will continue to be demand. As long as demand stays robust, the industry should be in good shape for the foreseeable future, according to Peel. However, fresh data from the USDA will be needed before anyone can make that call for certain.